The spring offers wildflowers and fields of green, green grass to enjoy. The ranch is coming back to life after the long winter and snowmelt. The rivers, streams, and lakes are at their fullest and we do get occasional rain. The temperatures can vary quite a bit from the 30's to the 70's. 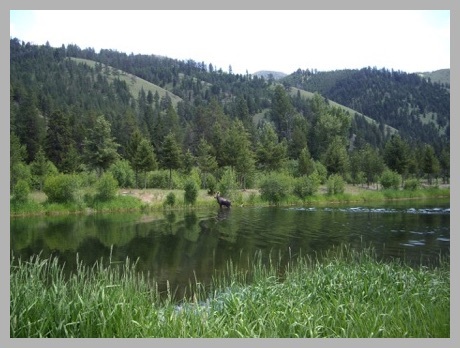 The local wildlife is very active at this time and it is common to see Moose, Elk, and White-Tail Deer on the ranch. Witness a winter wonderland! Our area offers all of the winter recreational opportunities you'd expect to find at a major ski resort, without any of the crowds. Downhill skiing at nearby Lost Trail, cross-country skiing on the ranch or Chief Joseph, snowmobiling, snowshoeing, ice skating on our private pond, and sledding are all available. 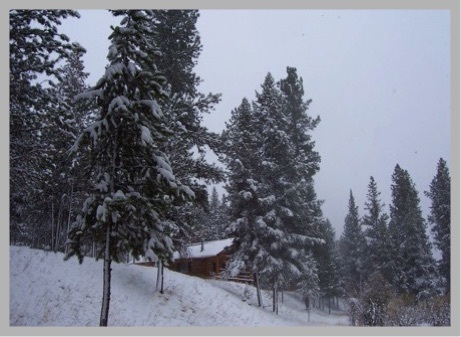 After a day in the snow, warm your toes by the wood stove in your cozy log cabin. Autumn is a splendid time of year here in the mountains. 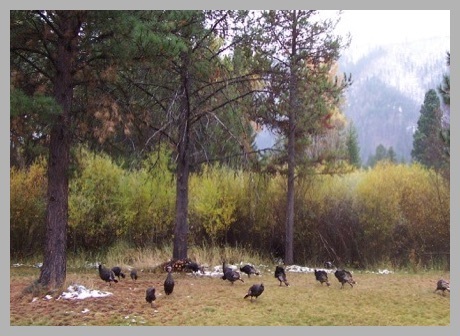 Enjoy the colorful fall foliage, abundant wildlife, trout fishing, and solitary walks in the woods during the day, then gather around the campfire on crisp, cool evenings. Fall fishing can be fantastic. Our high-season at the Alta Ranch, all of the roads and trails are accessible and it is great time to get out and explore the ranch and the Bitterroots. The fishing is excellent. 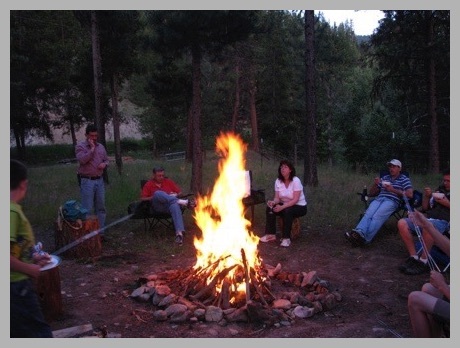 The temperatures are warm during the day from the 70's to 90's and cool off at night - just enough to have a nice campfire and roast some marshmallows after a day of hiking, boating, mountain biking, fishing, or swimming.